Kanyakumari located on the southernmost tip of India got its name from the temple of virgin Goddess Kanyakumari. The city of temples and rich cultural heritage, Kanyakumari is one of the important tourist places in India. Not only noted for its beautiful temples, Kanyakumari is also important in the global map for Swami Vivekananda. 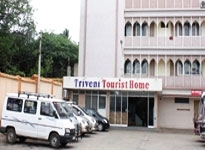 On your tour to Kanyakumari you can plan your stay in the different hotels in Kanyakumari. Indianholiday offers online booking and information on the different Hotels in Kanyakumari India. Kanyakumari also known as Cape Comorin is one of the beautiful tourist places in India. At Kanyakumari located at the southern end of India, you can get to see how the waters of Arabian Sea and Bay of Bengal merge into the waters of Indian Ocean. People from all over the world come to Kanyakumari to witness this beautiful phenomenon. Kanyakumari is the place where Swami Vivekananda meditated for several days. The Vivekananda Rock Memorial is built off the coast on the rocks of Indian Ocean. Swamiji meditated on this rock for several days and evolved the philosophies of his life. Kanyakumari also has the Gandhi Memorial where Gandhiji's last remains were kept before being immersed into the water. From temples to historical monuments, there are a number of tourist attractions in Kanyakumari. Tourists from all over come to Kanyakumari during their tour to Tamil Nadu. 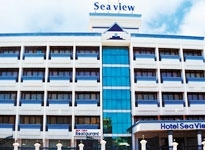 There are a number of Hotels in Kanyakumari which provide the perfect destination for travelers. 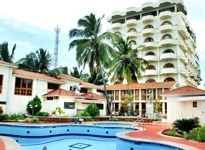 From the luxury hotels in Kanyakumari to the budget hotels, Kanyakumari offers excellent facilities for the tourists. During your stay in the Hotels in Kanyakumari enjoy the beautiful sea view and the fascinating sunrise and sunsets that allure the tourists. Avail excellent accommodation facilities and impeccable service at the best of rates during your tour to Kanyakumari. 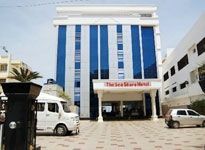 The Hotels in Kanyakumari are the comfort hub of tourists. 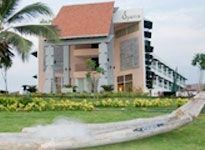 From conferencing facilities to the multicuisine delicacies and impeccable service, Hotels in Kanyakumari are ideal for business or leisure tourists. 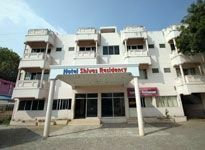 The Hotels in Kanyakumari offer excellent facilities and also keep in mind the budget of the tourists. Enjoy the luxury and comfort in the Hotels in Kanyakumari.